Going for Airbnb in Rome is generally cheaper than opting for a hotel stay but this is true not only from a monetary point of view. But more when considering the more space, less price concept. Especially when you’re a family of four or a group of people, you can get a two/three or more bed apartment or house offering a combined living area in which to socialize, relax and share time together, comparing with the cost of booking hotel rooms or suites. Let’s take another example of a group of friends making a trip to Rome for a boys/girls weekend. Hotels may be more expensive, and they could not all fit in one suite. For groups and families, Airbnb can provide exceptional value when compared to hotels where you’re paying for the added luxuries such as 24/7 reception, on-demand room service etc. The economical benefit goes beyond the price of the reservation, and this is valid not only in Rome but virtually in any tourist destination, you can make some significant savings with Air bnb. A fully equipped kitchen can make a big difference to your eating out expenses. At the same time having a washing machine at your place enables you to take less luggage, especially when you travel for more than just a few days. Renting an Airbnb room/apartment/house in Rome also offers you a unique and memorable experience. 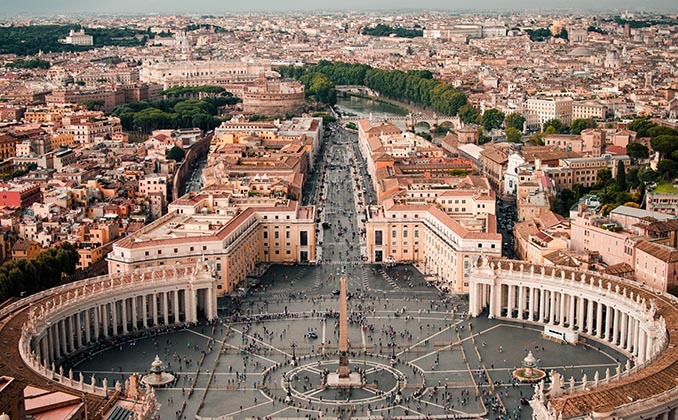 You have the opportunity to connect with the homeowner and the locals who can provide more authentic recommendations of where to go and what to see, not to mention some local hints and tips to take profit during your stay in Rome, Italy. Free WiFi and more often than not faster broadband connection are also a plus when considering Rome Airbnb, comparing with what you get from hotels where the WiFi is not always free or the connection offers you lower speed than expected. While hotels have many rooms in the one location making it easy to secure a room, short-term rentals like Airbnb have fewer rooms per premises, but many more locations to choose from. This allows you to hyper-target specific areas in Rome and get in close to your favorite eatery, yoga studio, nightclub or away from town and out into nature. Standards differ a lot and while things are pretty much clear with hotel bookings, Rome Air Bnb rooms, apartments and houses depend a lot on their homeowners and how much customer oriented they are. You may find a place that’s exactly how it’s originally advertised on AirBnb.com, sometimes it may be different than in the description or in the photos. Take a close look at the reviews and consider they can also be “prepared” to look good for prospective guests. At the same time look for a significant detail: if the place is shared with you by the homeowner or landlords, or not, and think of your openess to live for a short or longer period of time in a shared home. In most cases you’ll probably have nothing against but if you feel better living by your own, that’s a detail you shouldn’t miss. Airbnb offers the perfect opportunity to relax with more space and a casual, homely environment. This makes it easy to take a couple of days off and enjoy the best things of what Rome has to offer. You’ll find that when you’re staying in a lived-in space, a place that makes you feel at home, you get to know Rome from a totally different perspective. Airbnb is great because it allows you to stay in more residential areas that give you a different feel than you might get otherwise. You can get into a routine, find a local coffee shop to visit every morning, and see how people really live in Rome.